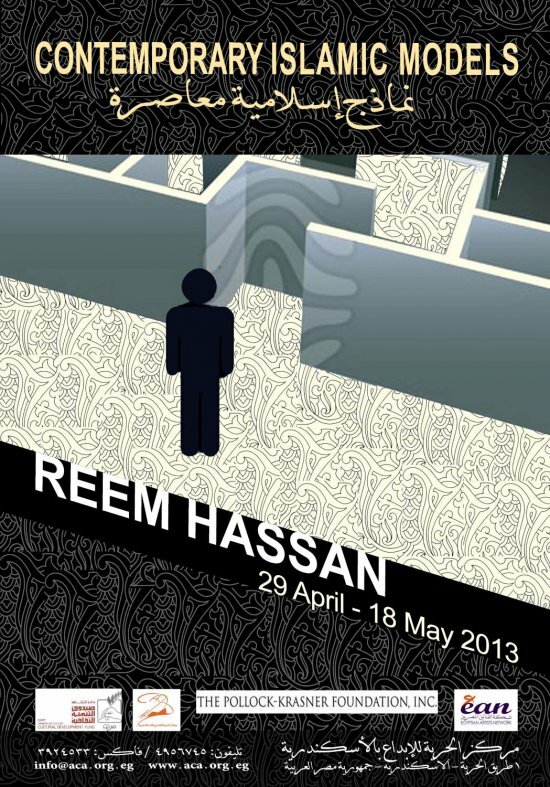 Reem Hassan is professor assistant painting department in Faculty of Fine Art - Alexandria University. She had participated in Rami Plate-form in Alexandria, as video maker in 2007. She is a member of Atlier of Alexexandria board. She is developping many activities inside fine arts, specifically in Africa. 1971 Born in Alexandria .. live and work in Alexandria , working as a lecturer in Faculty of Fine Art – Alexandria University , Member Board Atelier of Alexandria , Director of International Artists Workshop in Alexandria ,2004 PHD in philosophy of art , 2001 Master degree in visual art – Alexandria University .. Many Solo Exhibitions 2006 Goethe Institute – Alexandria , 2004 Al-Gizera Art Center – Cairo , 2003 LA-BODIGA Art Gallery – Cairo , 2001 Akhenaton Art Gallery – Cairo , 1997 Rotterdam Art Studios – CBK in Dounda – Netherlands , 1993 Goethe Institute – Munich – Germany , Participating in the most of the local exhibitions , workshops and residencies .. 2007 workshop in the theater Sino graphic workshop for Bertolt Brecht – Berlin – Germany , 2007 2nd International Women Workshop – Kenya , 2004 The Triangle Artists Workshop – NY , 2004 Artists Residency – Greatmore Studio – South Africa , 2002 Egyptian Academy for Art – Rome , 1997 Art Studios – Rotterdam , Netherlands , 1993 Art Academy – Munich , Germany .. and Many Local and International Awards .